The Eventide TimeFactor Twin Delay Pedal with Free Cable contains 10 stereo/mono delay effects with dedicated mix, delay time, and feedback controls for editing the presets. 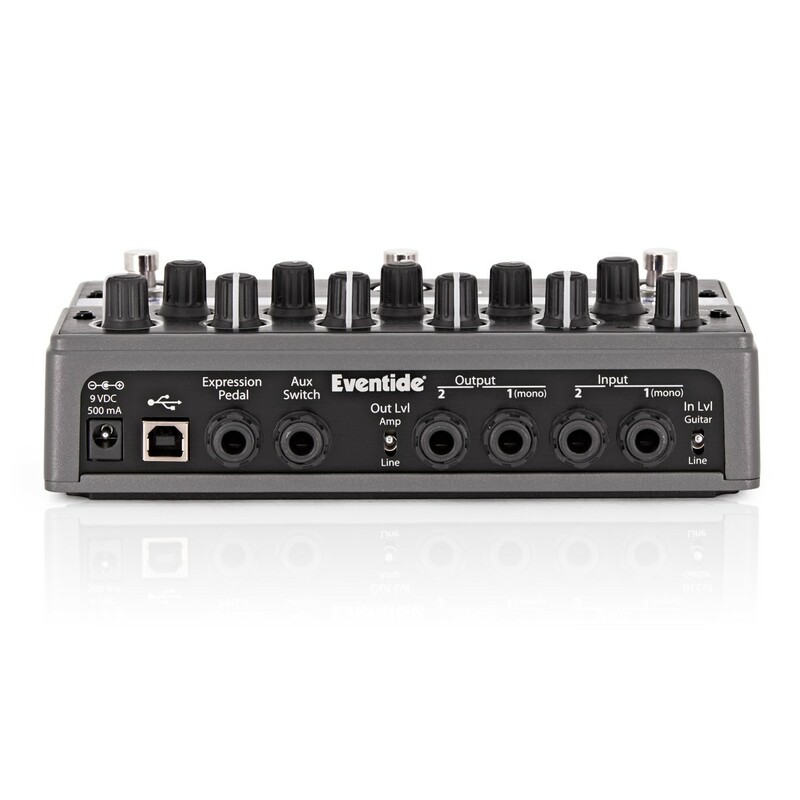 The Eventide TimeFactor fits 100 presets in a compact, portable package that fits easily into your gig bag. 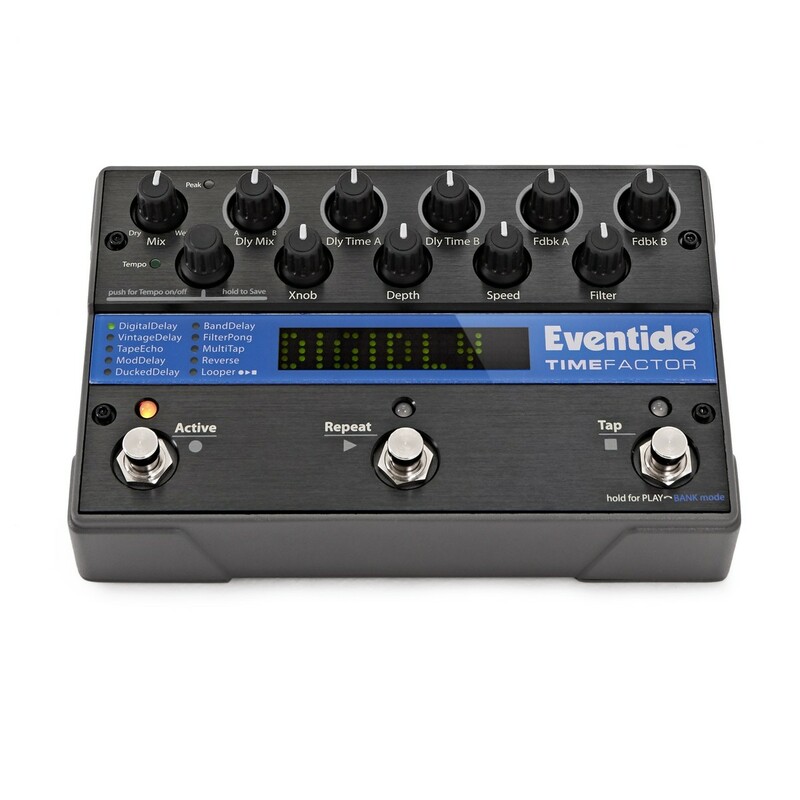 Featured on the Eventide TimeFactor are a range of different effects that contain their own characteristics, allowing you to get extra creative when performing. 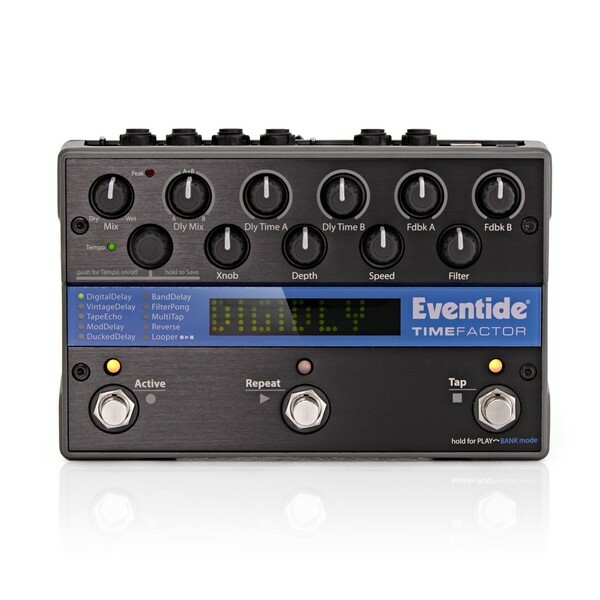 Through the decades, top players have depended on Eventide due to their top sound, such as Jimmy Page, Frank Zappa, Brian May, Eddie Van Halen, Steve Vai, Robert Fripp, John Petrucci, and Adrian Belew to name a few. The Eventide TimeFactor features 10 delay effects which both mono and stereo configurations including Digital Delay, Vintage Delay, Tape Echo, Mod Delay, Ducked Delay, Band Delay, Filter Pong, MultiTap, Reverse, and Looper. The versatile control options combined with the studio quality sound, make this effects pedalone of the most versatile on the market. The TimeFactor's delays each have their own tempo subdivision for creative rhythmic echoes. 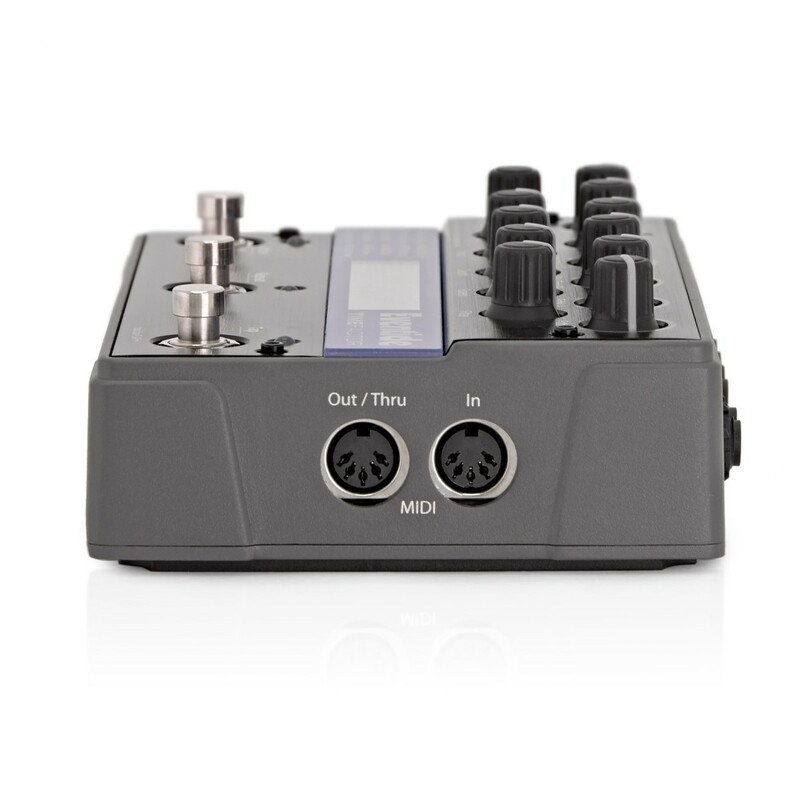 With 10 knobs for instant real-time control of selected parameters including mix, delay time, and feedback, the TimeFactor is ideal for audio applications ranging from performances to home and studio use. 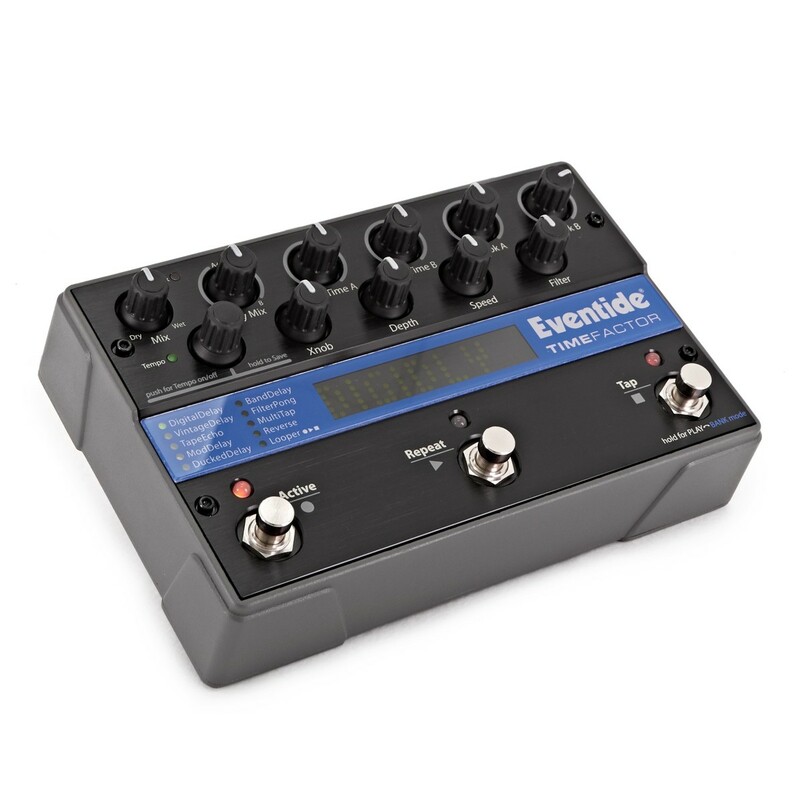 The Eventide TimeFactor offers plug-and-play expression pedal control of wet/dry mix, or any combination of parameters. You can control program changes and vary parameters continuously via MIDI. Support is also provided for instrument or line level inputs and outputs. Not only does the TimeFactor play well with others, but it adapts seamlessly with a wide variety of amps and other foot pedals. Premier recording studios worldwide use Eventide on hit after hit. TimeFactor features Eventide's 10 best delay effects without compromising quality or flexibility. The TimeFactor features a compact, rugged cast metal construction, which makes it perfect for the travelling guitar player, providing you with consistent reliable operation day after day.